If you are preparing for IIT-JEE and have not solved previous year papers then your completion is incomplete. Previous year papers of IIT-JEE provides an insight of current year paper and also help to check our preparation level as IIT-JEE papers are a perfect example of completeness of knowledge and depth of concepts. Click on the links below to Download Previous Year Papers with full and detailed solution. Click to Download IIT JEE Main Paper 2016 with complete and detailed solution. Click to Download IIT JEE Advanced Paper - I 2016 with complete and detailed solution. Click to Download IIT JEE Advanced Paper - II 2016 with complete and detailed solution. Click to Download IIT JEE Main Paper 2015 with complete and detailed solution. Click to Download IIT JEE Advanced Paper - I 2015 with complete and detailed solution. Click to Download IIT JEE Advanced Paper - II 2015 with complete and detailed solution. Click to Download IIT JEE Main Paper 2014 with complete and detailed solution. Click to Download IIT JEE Advanced Paper - I 2014 with complete and detailed solution. 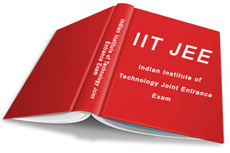 Click to Download IIT JEE Advanced Paper - II 2014 with complete and detailed solution.